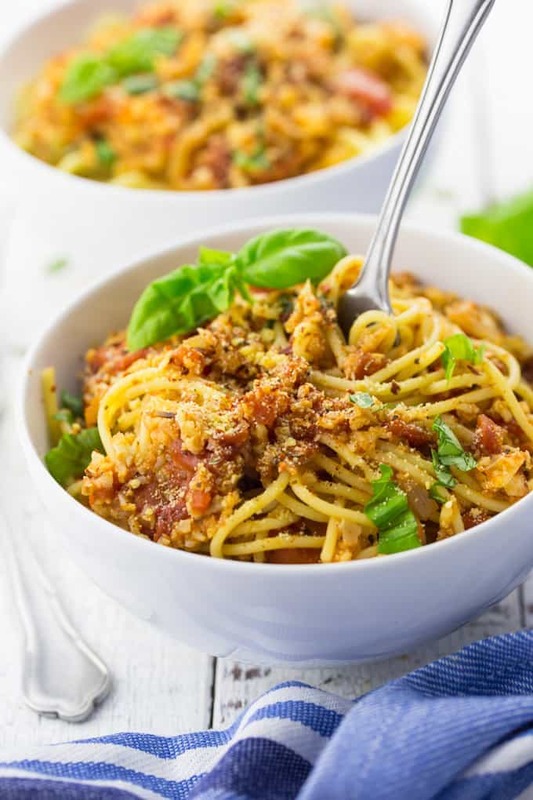 This cauliflower Bolognese sauce is not only super easy to make but it’s also incredibly healthy! Instead of ground meat, the recipe calls for cauliflower. Yes! Cauliflower! It’s such an incredible vegetable! As all my recipes, the cauliflower Bolognese is 100 % vegan. Besides, it’s also gluten-free and low in calories. If someone asked me what my favorite vegetable was, I probably wouldn’t know the answer right away. But cauliflower would definitely be in my closer selection. It’s such a versatile vegetable and you can get so creative with it! Especially when cooking vegan recipes. A couple of months ago, I made cauliflower hot wings that became a huge hit on Pinterest. They’re super easy to make and they’re the perfect comfort food. Or if you’re more into spicy-sweet food, you might prefer my vegan general tso’s cauliflower. They’re just as good as the fried version, while being so much healthier! And this time, I used cauliflower to make vegan Bolognese sauce! I told my hubby about it and he was pretty skeptical that this would turn out good, but he was more than surprised! It was not only good, it was soooo yummy!!! And the best thing is that it’s packed with nutrients at the same time. Welcome to cauliflower heaven! 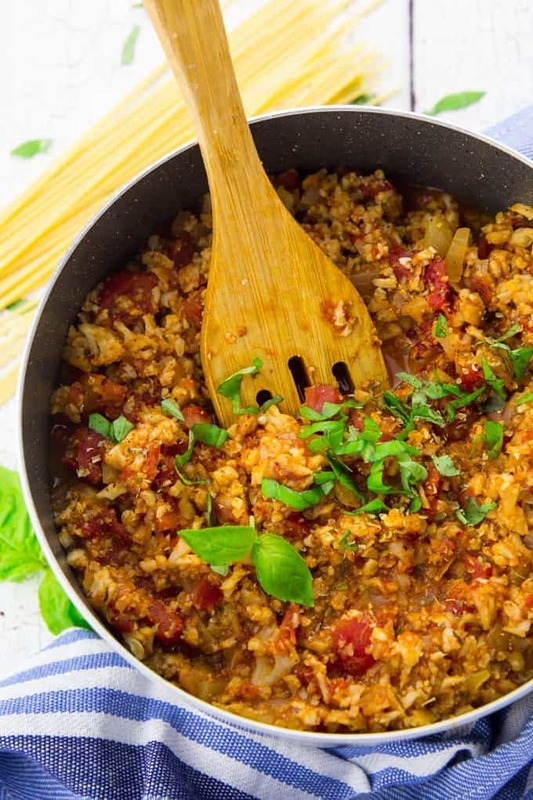 You don’t need a lot of ingredients for this vegan Bolognese sauce. Apart from the cauliflower, you might actually have everything in your pantry. And it’s ready in less than 15 minutes! That’s it! Sounds pretty easy, right? 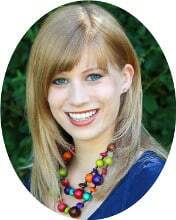 As always, you can find the full ingredient list and the recipe instructions in a separate recipe box at the end of this post. I usually serve the cauliflower Bolognese sauce with whole wheat spaghetti or rice and quinoa spaghetti. But of course it’s also great with other kinds of pasta. I hope you like this recipe as much as we do around here! I just can’t get enough of cauliflower these days! 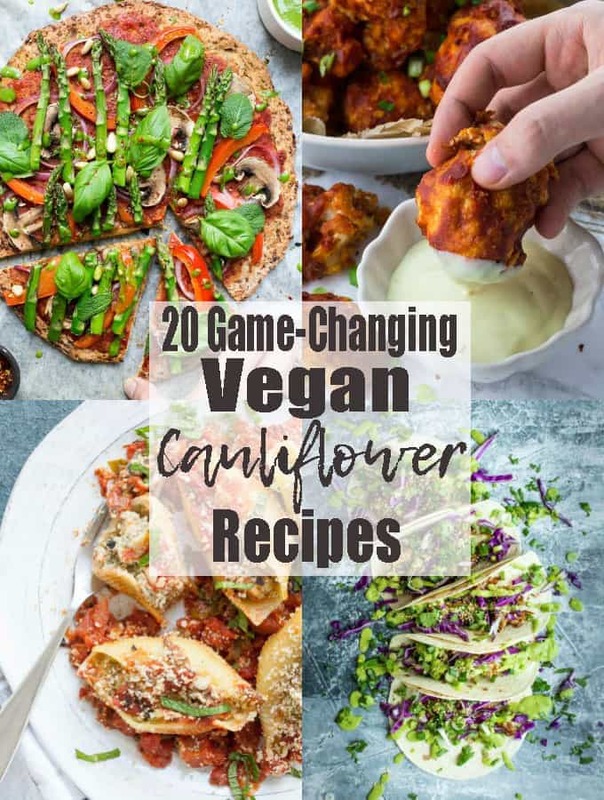 If you suffer from the same kind of “problem”, check out this huge roundup of vegan cauliflower recipes! Everything looks just AMAZING and I want to try all recipes at once!! 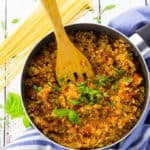 This cauliflower Bolognese sauce is not only super easy to make but it's also incredibly healthy! Instead of ground meat, the recipe calls for cauliflower. It's such an incredible vegetable! 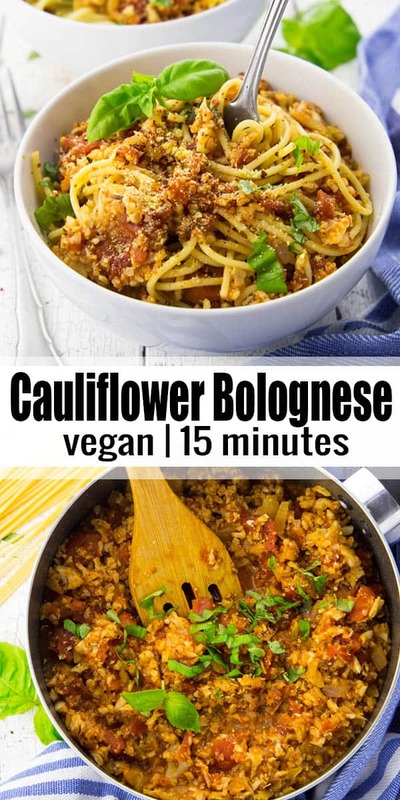 As all my recipes, the cauliflower Bolognese is 100 % vegan. Besides, it's also gluten-free and low in calories. Break the cauliflower into medium-sized florets and put about 1/4 of the florets in a food processor. Pulse about 2-3 times until the cauliflower looks crumbly. If you don't have a pulse function, use the lowest setting. Add the remaining florets in several rounds. You don't want to add too much at once. Alternatively, you could also use a grater but this takes much longer. In a large pan, heat some oil and sauté the onion for about 3 minutes. Add the garlic and cook for another minute. Stir in the cauliflower and the tomato paste and cook for 2 minutes. Then add the diced tomatoes and the herbs and cook for 6 minutes. Season with salt and pepper and serve with whole wheat spaghetti and chopped basil. If you want you can also add vegan Parmesan cheese. Enjoy! This looks great!!! 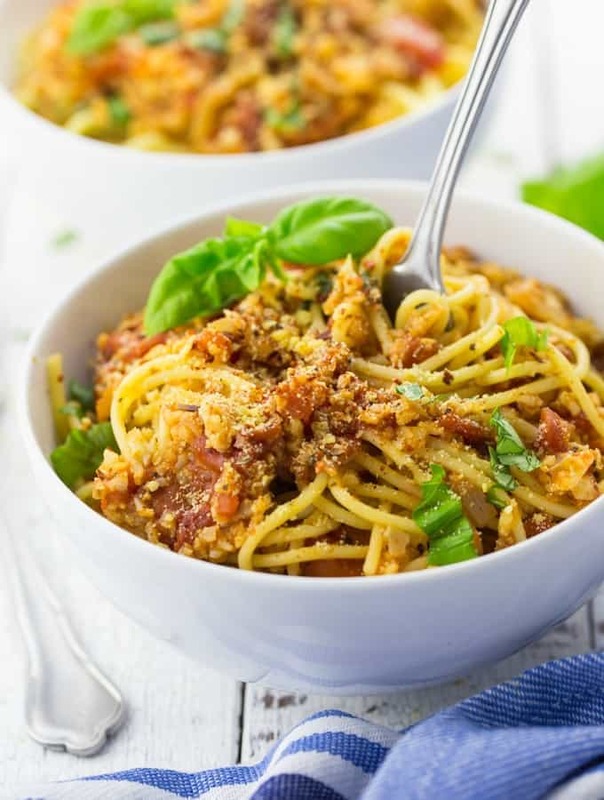 I haven’t tried a vegan version of Bolognese in a while…might have to…and soon!!! Thanks for the inspiration! Great idea to use cauliflower! Tasted so delicious! I will definitely make it again. This was easy & really delicious. I added a dash of cayenne, some finely shredded kale to it & served it over lentil/kale rotini. My non-vegan daughter loved it. We just about ate up the entire pot of it! Thanks for posting!